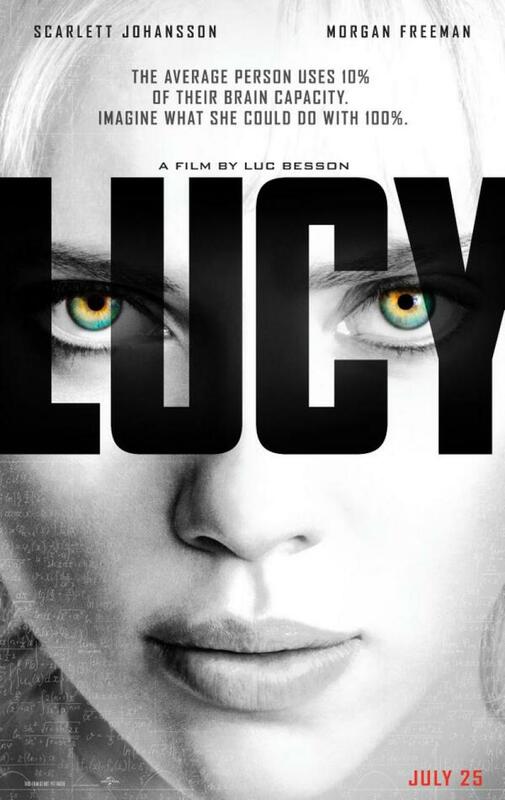 The first official movie poster has been released for Luc Besson’s action-thriller Lucy, starring Scarlett Johansson and Morgan Freeman. The poster features the tagline: “The average person uses 10% of their brain capacity. Imagine what she could do with 100%.” The film has been moved up from its August 8 release date to July 25. You can check out the movie poster below. Lucy (Johansson), a woman living in Taipei, Taiwan, works as a drug mule. When Lucy accidentally swallows her cargo, the drug changes her into a metahuman. She can absorb knowledge instantaneously, move objects with her mind and can’t feel pain.